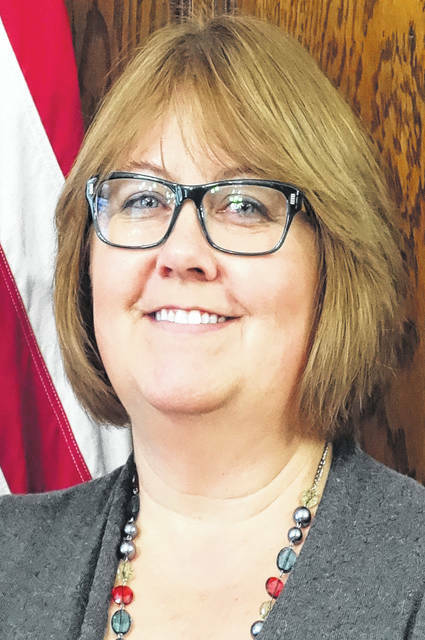 Sandy Mackey will assume the role of deputy director of the Delaware County Emergency Management Agency on or after Jan. 20, 2018. Miller said to summarize what EMA does is to the minimize impact of and prepare for day-to-day emergencies and disasters. Mackey said she’s been with the Delaware County EMA five years and currently serves as administrative manager. She is no stranger to being in charge of the agency during a countywide emergency. The tornado occurred during the 2016 Ironman while Miller was on five weeks of paternity leave. In preparing for her new position, Mackey has been updating her professional development plan by taking courses in emergency management. The certification is through the Emergency Management Association of Ohio. In order to be certified, applicants must meet a specific combination of work experience, professional education, and training. Applicants must also receive a letter of reference, contribute to the field of emergency management, and be published. Miller said the OCEM certification is a stepping stone to the International Association of Emergency Management certification, which covers all types of emergencies and disasters nationwide. Mackey said she has conducted 200 to 300 hours of work on certifications and this year alone she has logged 100 or more hours. Mackey said the courses don’t just teach disaster knowledge, but also the managerial side of emergency management. Mackey said mitigation is the one thing the courses focus on heavily. Miller said by having Mackey move up to deputy director allows him the opportunity to focus on other projects. This entry was tagged delaware county, disaster, emergency management. Bookmark the permalink.